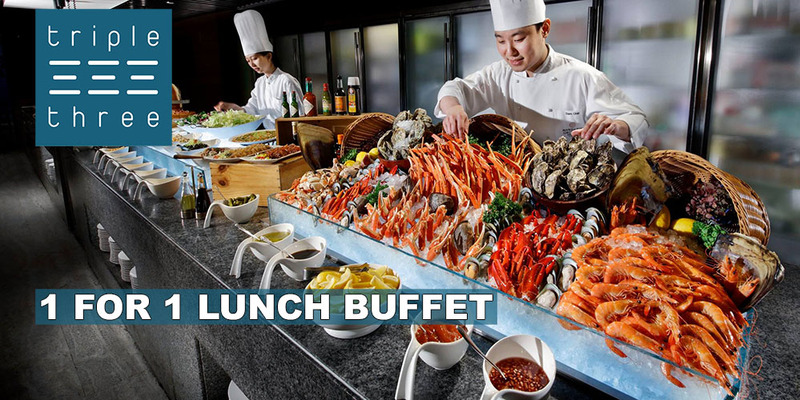 Enjoy 1-for-1 buffet promotions at Triple Three - Mandarin Orchard Singapore Hotel, with DBS/POSB and UOB cards. Valid till 30 Dec 2019 and 9 April 2019, respectively. Sink your teeth into the freshest seafood at the Mandarin Orchard Singapore's Triple Three restaurant. 50% off every second diner for buffet dinner. From 21 August to 31 October 2015, DBS & POSB Cardmembers can enjoy 1-for-1 Lunch Buffet (Mon-Sat) and 1-for-1 Sunday Family Brunch at Triple Three Mandarin Orchard Singapore.